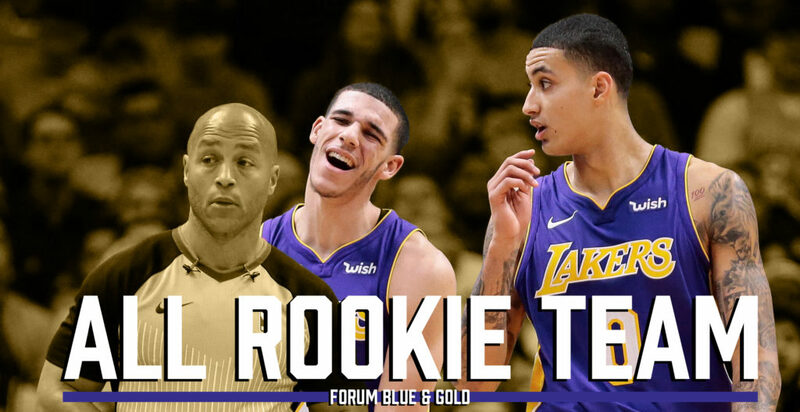 The Lakers announced Tuesday that Lonzo Ball and Kyle Kuzma were named to the All-Rookie Teams. Kuzma earned a 1st team nod while Ball was named to the 2nd team. It is the 4th straight year the Lakers have had a representative on either 1st or 2nd team, with Brandon Ingram (2nd), D’Angelo Russell (2nd), and Jordan Clarkson (1st) the previous year’s honorees. We’ll start with Ball, who was named to the 2nd team despite missing 30 games to injury. On the one hand, you’d expect the 2nd overall pick to make one of these teams — and probably the 1st. Players with strong name recognition often get rewarded with this honor and, besides Ben Simmons, there was not a rookie who even approached Lonzo in this regard. Still, though, if you think Lonzo simply got here by being the 2nd pick or because his father kept their family name in the press, you’d be mistaken. Ball was one of the best defensive point guards in the league, one of the best assist men in the league, and one of the best rebounding guards in the league. Not just for a rookie, but for all players. His shooting and scoring is not where anyone would have wanted it, but his impact in every other facet of the game cannot be ignored. If he plays 70 games instead of 52, I imagine he makes 1st team. As for Kuzma, while you could argue the Lakers brand helped boost his notoriety, his game is what put him on the map. After breakout performances in the Vegas Summer League and an equally impressive pre-season, Kuzma continued to make waves once the real games began via his shotmaking and overall scoring prowess. He was a co-leader for Lakers team scoring, broke the Lakers rookie record for 3 pointers made in a season, and was second in the league (behind Simmons) for double-doubles by a rookie. Kuzma also proved capable on the backboards and showed skill as a passer — though it would have been nice if he utilized those skills a bit more. Still, though, for player selected 27th overall, making the 1st team is great recognition of his performance. In saying all that is it bad that I really barely care about this? I mean, I saw some fans getting their feathers ruffled because Josh Hart didn’t get a single vote for either team. Do I think he should have gotten a vote? I mean, sure? Do I think that matters in the slightest? No. No I don’t. Because here’s the thing. 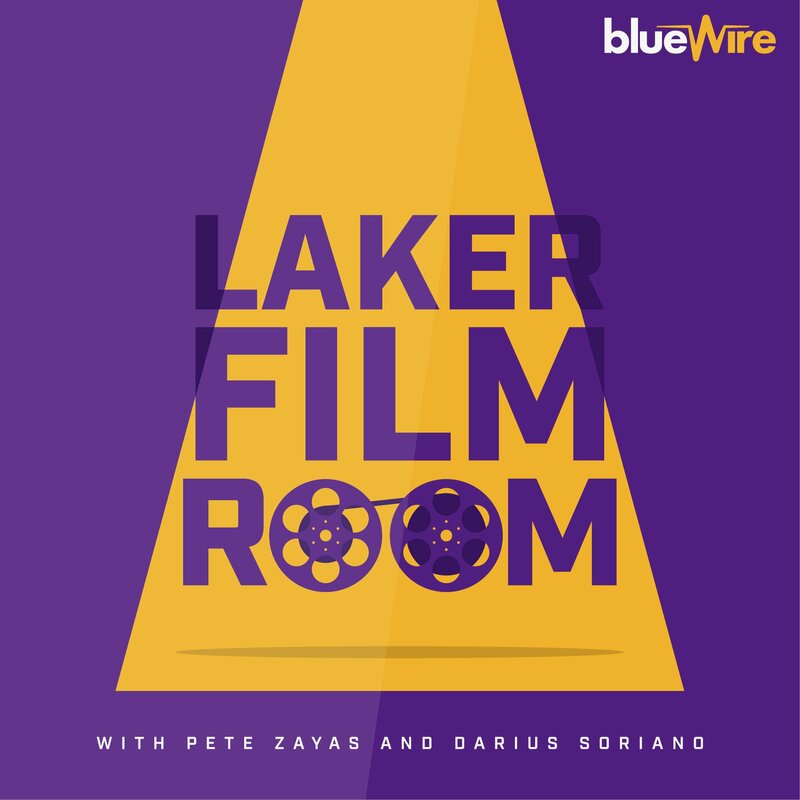 I believe in Lonzo, Kuzma, and Hart regardless of what their recognition around the league is; regardless of what accolades they received after their first year as NBA’ers. As mentioned above, this is year 4 of seeing some talented rookies play for the organization. And what I’ve come to understand is that this first season is only step one. And while it’s nice to be recognized for doing well in this first step, that recognition in and of itself is not indicative of where these players’ careers are going or how good they can or will be. So, congrats to Lonzo and Kuz. They showed real game as rookies and deserve the praise they’ve received and their respective placements on the All-Rookie team(s). But I’m looking forward to the rest their careers much more than I am reminiscing about the years they just had.